What is a Spousal Rider? A rider within life insurance is categorized as something that you can add on to your life insurance policy and can provide substantial benefit coverage, all depending on what the rider covers. A common type of rider would be a spousal rider, which is a form of rider pertaining to both you and your spouse having coverage under the same policy. These riders state that they cover both you and your wife/husband without having to purchase two different policies. Another common form of rider would be a child rider, which includes a payout if something unexpected was to happen to your child and will ultimately help cover the funeral cost. Spousal and child riders are somewhat similar in the regard that the insured would receive an economic benefit if the specified individual were to die before the other insured person. Spousal riders are usually added on to aid with burial and funeral cost, which has been extremely beneficial to people that utilize this option. Do Spousal Riders Still Exist? With these exceedingly pricey options, are spousal riders even worth the cost? Are Spousal Riders Worth the Cost? If you are still considering having a spousal rider and as long as your spouse is in good health, the separate term policy may be the most beneficial option. Your spouse’s risk class and age may have an impact on how much your premium policy will end up costing and just like when you buy another life insurance policy, the company will require that your spouse take a medical exam, which may impact how much you pay for the rider. The most substantial disadvantage to a spousal rider is losing coverage. For example, if the primary insured individual was to pass away, the rider no longer will be in effect, in which the spouse would have to find more coverage and could be extremely costly. In a similar situation, if the marriage ends through a divorce, the rider will not cover the spouse and they will be back to where they began. This is why purchasing life insurance coverage for both spouses ensures that the individuals are covered regardless of death or divorce, and they will continue to be covered. While there are some situations where spousal riders are worth more money than when you buy separate term policies, these situations are few and far between. In most cases, the rider will not save you much money on monthly premiums and most applicants are amazed at how affordable a life insurance policy can be for their spouse. Overall, obtaining a spousal rider is not deemed as beneficial as they once were. 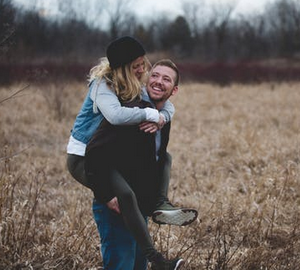 With spousal riders, you will have a considerably low amount of options, while with term life insurance policies you can have hundreds of options. The more options that are available for you, the more likely you will locate the most advantageous coverage for yourself. How Much Coverage Do My Spouse and I Need? Regardless of whether you choose a rider or a separate policy, it is extremely important to ensure that you have enough coverage for you and your family. If you are seeking an additional policy or a rider, or it has been a while since you have looked at your insurance policy, it may be time to ensure that everything within your coverage is in place. You and your husband/wife should sit down and discuss what you believe to be the most beneficial option for you two and decide what forms of life insurance are needed for you. This is conducted through calculating all of your loans/debts, considering how many people rely on your income if both of you work, would one of you be able to live off of a single income, and various other factors. All of these factors are essential to consider when trying to locate the most advantageous coverage for you and your loved ones. This is because every year that are hundreds of spouses that are suffering through the grief of losing their spouse and ultimately find themselves dealing with bills that they are unable to pay. Avoid allowing your spouse from becoming one of these stories and talk to a life insurance agent and have them aid in locating the most beneficial life insurance coverage for you and your family.